It has been a tradition in our home over the years to count down to Christmas. I did not realize until I moved to France 23 years ago that one could count down with chocolate! 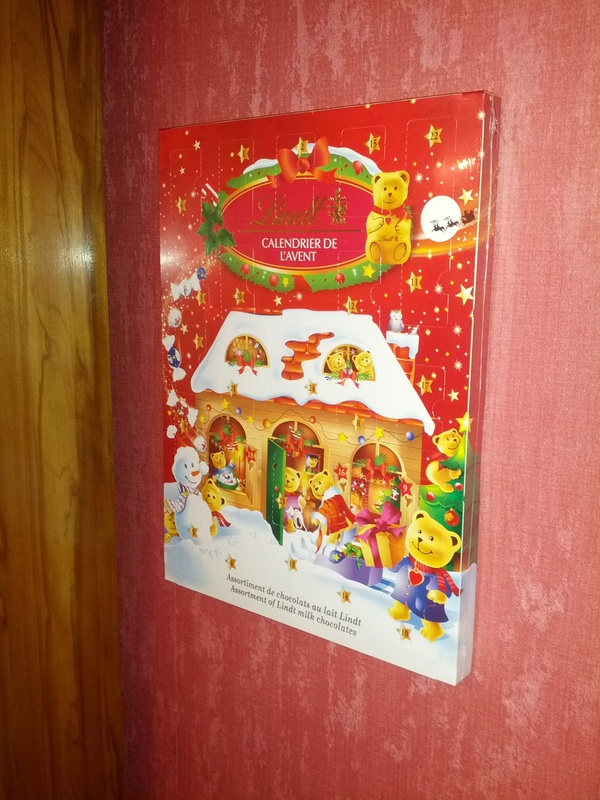 The Lindt chocolate calender pictured here is for my grown son, but I am having trouble keeping my hands off it! Years ago I sent one of my children (who will remain nameless) a chocolate advent calender the first year at university. It was only much later that this offspring of mine admitted to eating ALL the chocolates the day it arrived! Of course, the age-old tradition of the Advent wreath and all its symbolism is a much more significant way to mark the days until the birth of our Savior. With each lit candle and Scripture reading we celebrate His first arrival and anticipate His second. The verse for today talks about numbering our days. Knowing that our days have an end is not a new concept. But for all of us, we need to be reminded to live with the end in sight. Numbering our days makes us wise. Looking toward the end helps us decide what is important today. Regardless of the number of days the Lord decides to allow me, I am to be counting down. The last little window of the Advent calender waits to be opened. It usually has the biggest and best chocolate. I look forward to opening it, even though I know I will then be finished with it. In life, as I count down toward the very end, I have a last window that waits to be opened, the window of heaven! Categories: Christmas Season, Devotions | Permalink. Everyone likes to receive invitations, to know that our presence is wanted. 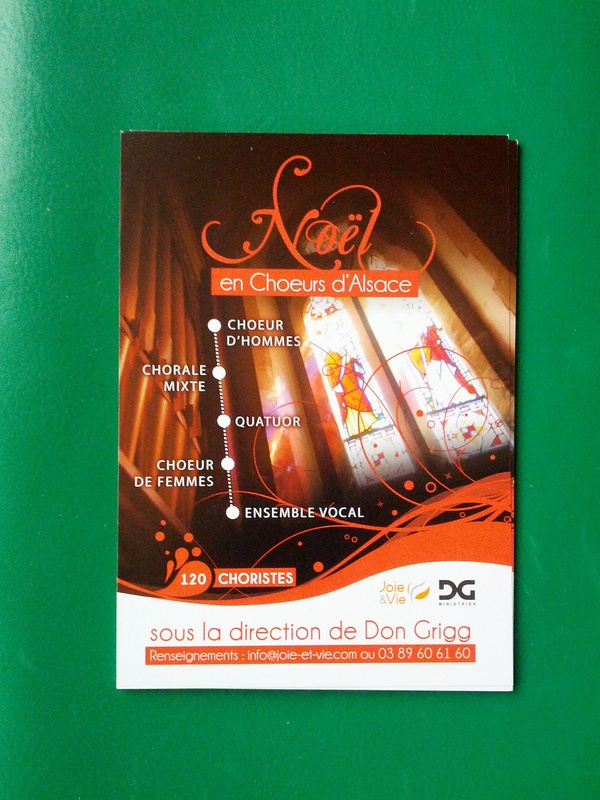 The invitation pictured here is to invite people to the concerts put on by my French chorale, Joie et Vie. I remember when our daughters were married and the long process of picking out just the right invitation with the right look and feeling tones. The invitation says something about the one who gives it! There is an invitation given in the very last chapter of God’s Word. It is extended by two different sources: the Holy Spirit, and the bride, being the Church. We have the privilege of cooperating with Him in getting out this invitation. It is given to those who recognize their thirst and the need to satisfy it with the Living Water, Jesus Christ. Normally, an invitation includes a date, a time and a place. The fact that this invitation is issued at the very end of time is another example of God’s patience and desire that ALL come to repentance (II Peter 3:9) The time? II Cor. 6:2 says that NOW is the time of salvation. There is no ending time listed. The place is His presence. It is amazing that He wants me in His presence forever. Like all good invitations, this has an RSVP. He awaits our response. Some invitations say, “regrets only.” The regret that comes from refusing to come is a regret that will be eternal. I am so thankful to have heard Him say, “Come.” Thank you Lord, for inviting me. Help me be faithful in inviting others. Categories: Salvation, Testimony | Permalink. It can seem very dark here in Alsace. It is not that we live in the country. But we are in a much less populated area than southern California. Things are spread out and there just is not as much artificial light. Sometimes between villages, my husband will turn off the headlights to impress our visitors with how dark it can get. When walking at night, I always use my small key chain flashlight to avoid tripping. Our verse today talks about staying in the light. Jesus is our light. He illuminates the path of obedience we are to walk. 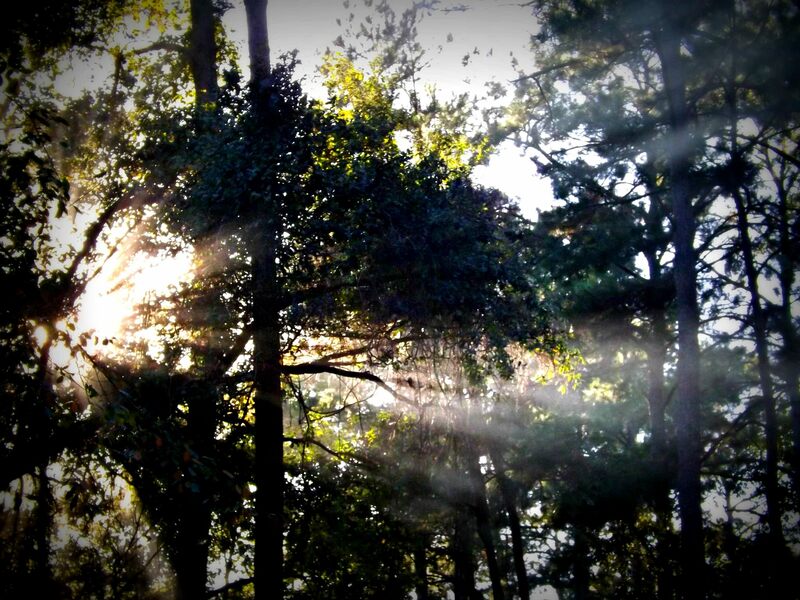 Obeying Him allows us to remain within the beam of that light. It is easier to talk about obedience in general terms, but here the verse is very specific about one particular commandment; loving our brother. I am at risk of falling when I do not love my brother. It is like turning off the headlights or forgetting my flashlight. Loving my brother as God commands keeps me in His light and on the right path. I never realized before how closely linked are LOVE and LIGHT. The amount of light I live with is dependent on how much I love my brother. Quite frankly, I get used to my way being dimly lit. My eyes adjust to the lack of light due to my lack of love. I do not think to do anything about it…….until I stumble. I trip on my lack of love. How much better it is to make the effort to love. My walk is so much more pleasant in the light! Categories: The Body of Christ | Permalink. 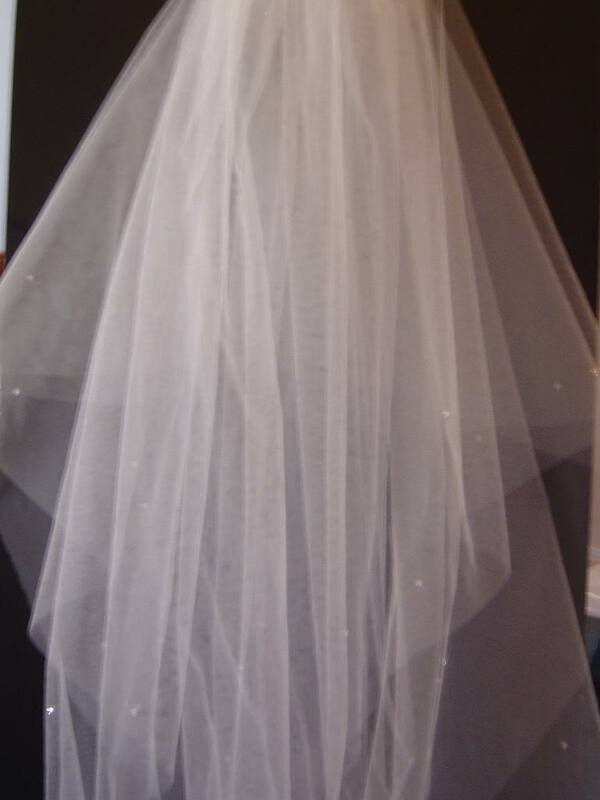 Wedding veils are so pretty and they give an aura of mystery to the bride. During the Elizabethan era there were plenty of arranged marriages among the nobility. It was not unheard of for the groom to see his bride for the first time when he lifted that veil during the ceremony! Our verse today talks about a veil that blinds people spiritually. It was there even though these people were listening to the Word of God. The veil was keeping them from understanding. It was obstructing their view of the Truth. The veil remained there until they turned to the Lord in repentance. Once that happened, the veil was no longer an issue. It was then stripped off and taken away. I sometimes hear people complain that they can not understand the Bible. This is not surprising as the natural man can not accept or understand the things of the Spirit. They are spiritually discerned. (ICor.2:14) There is a veil in place over the mind and the heart of those who do not yet belong to Him. The good news is that this veil can be removed. We do not tear it off. We do not have that ability. It is done for us by the Lord when we turn to Him. He is willing and waiting to welcome us. He wants to reveal Himself to us through His Word. What a wonderful moment it is when He lifts that veil and we see Him face to face, our loving Groom. 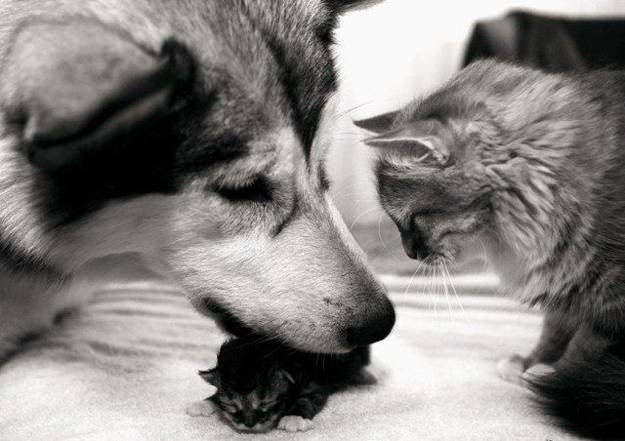 I love this photo of the dog helping out the cat with her kitten! I grew up in a cat-loving family and it was a common sight to see Chin-Chin carry her babies in her mouth by the scruff of their necks. I would worry about the kittens as it looked like it hurt them. I never thought about the possibility of the Mother cat getting tired of hauling them around in her mouth. But those kittens did need to be carried around for a time. Whether in her cat brain she considered it a burden, I will never know! Our verse today talks about helping one another carry our burdens. Doing so fulfills the law of Christ which is to love one another. We all have burdens we haul around. I think they are our own though and not the burden Christ gives us to bear. His burden is light (Matt. 11:30) His burdens are bearable. This is a different burden that we help lighten. We help bear the burden of one who has fallen. In the process of restoring him, I am to help him stand up again and lighten his load. His burden may be the burden of guilt. His burden may be the natural consequences of his sin. His burden may be a continued temptation toward that same sin. I help him bear that burden with prayers and words of encouragement. I help him with loving counsel and even practical help. I help him bear his burden by extending the same forgiveness that Christ did for me. Yes, “love bears all things,” even the burdens of others! Lord, help me care enough to help shoulder another’s burden. Categories: Cat Images, Dog Images, The Body of Christ | Permalink. 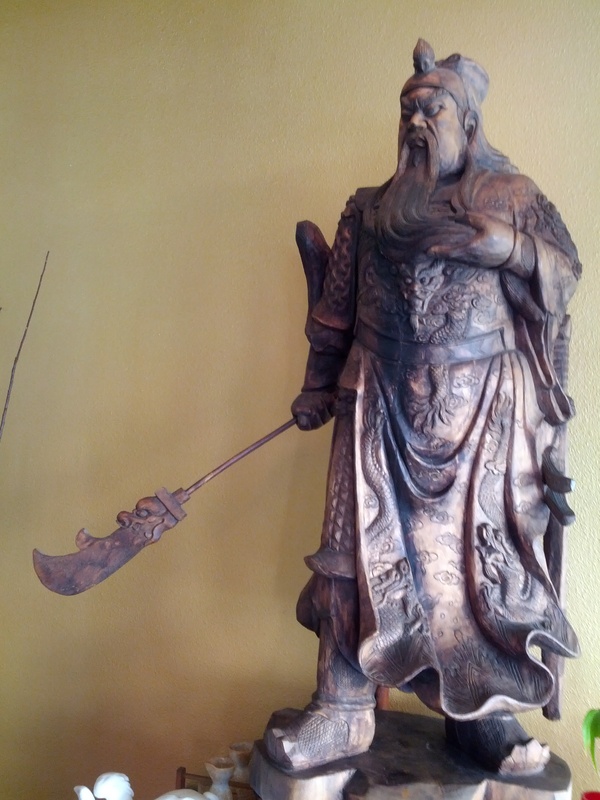 I thought it strange to see this menacing figure staring at me as I waited for my sushi take-out. I am not sure why he was there or what the restaurant owners were thinking in their choice of decor! He was quite large! I would think they would want their establishment to be a welcoming place! I snapped his picture because he made me think about the fact that I am a warrior too. I do not think I look quite so threatening, but then it is not about looks. In fact, the verse for today talks about our war not having anything to do with flesh and blood. Our war takes place in the unseen spiritual realm. God’s choice of me as one of His warriors is ludicrous! My courage is so nonexistent that I need to enlist my husband in combat with a spider! There is nothing in me to inspire fear. However, the devil will flee from me according to James 4:7. When I am subject to my Commander-in-Chief, He gives me the ability to resist the temptations of the enemy. I am well-equipped in this battle so I have no reason to fear! God has outfitted me with all the armor I need. I can be strong in Him and the power of His might. Not only that, I already know the outcome of this war. I am on the winning side! “If God be for us who can be against us?” Romans 8:31 The answer is, no one. Unlikely warrior that I am, I can be confident because of the One who goes before me. Victory is mine! Today is a special day of giving thanks. 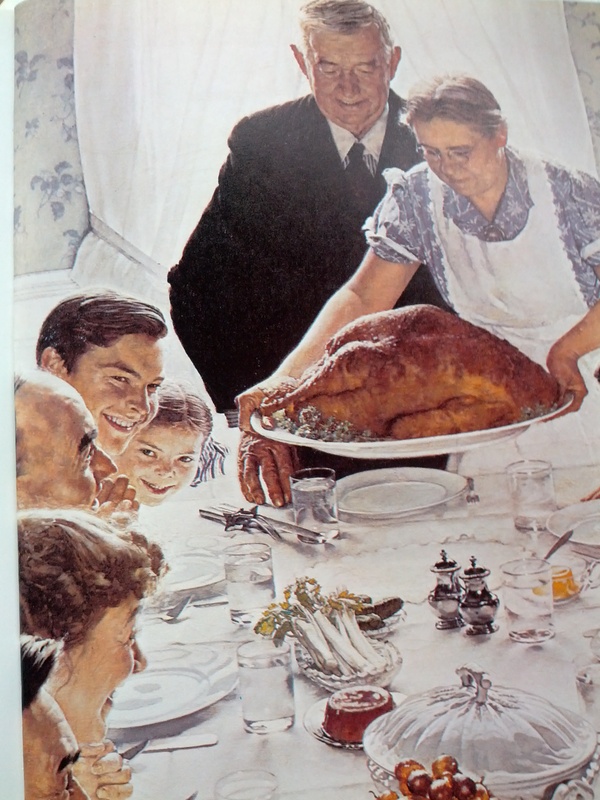 I love this Norman Rockwell image of an old-fashioned Thanksgiving with family smiling around the table. The French do not have this same celebration in November so it is not always easy to buy a large turkey. They have plenty of turkeys available for Christmas, but to buy one this early means a special order. Thanksgiving feasts are best when every guest participates with their own contribution. When one does not come with a prepared dish, one wants to at least bring flowers or chocolate as a “thank you.” The idea of a hostess gift as a thank you is a very large part of the French social graces. When I think of the Lord as my Host and sit down to all the blessings He has provided for me, what on earth can I give Him as a “hostess gift” or to express my appreciation? There is a gift talked about in our verse today. It is the gift of thanks. The context of our verse concerns the controversy of eating meat offered to idols. Our controversies are different today. As far as I know, my turkey has not been any where near an idol! But the principle here is timeless: whatever we choose to do, we do it with an attitude of thankfulness, honoring Him. How can I ever repay Him for all He has done for me? I cannot. But I can thank Him. It is the gift He wants from me.